A ten-year multi-million-pound partnership for logistics and storage has been launched by Fowler Welch and Dairy Crest. It will take place at Dairy Crest’s national distribution centre at Bermuda Park, Nuneaton. 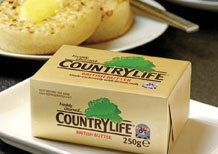 Some of the distribution centre will still be used for the company’s Cathedral City and Country Life brands.